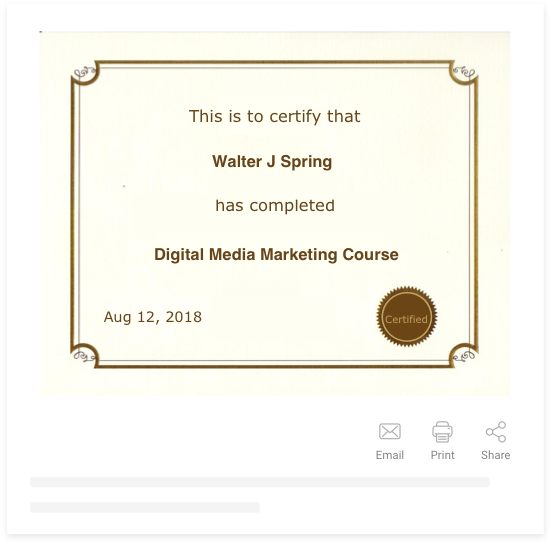 You can either create a certificate from scratch by uploading your design or choose from our library of professionally designed certificates. 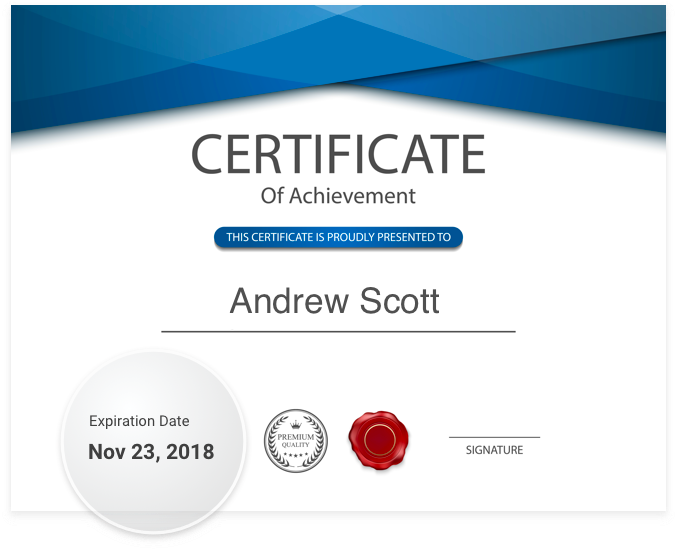 Add your company logo, brand name, participant's name, and your signature to create professionally-designed personalized certificates. 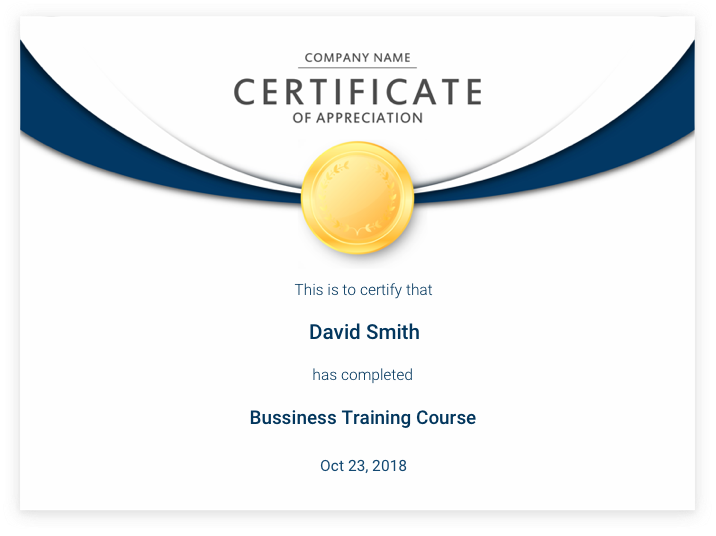 Offer customized certificates to those who complete the course objectives and help them improve their work proficiency. Setting expiration dates for course completion certificates helps manage renewals of training programs. A certificate validates a particular course undertaken by any trainee. Expiry dates serve as a reminder for course takers and course givers for future certification renewals. Certified courses specify milestones for the learners' to accomplish before generating course completion certificates. Embed quizzes and tests at the end of each training sessions to assess progress made by the trainees and offer certificates on their achievement of specified milestones. 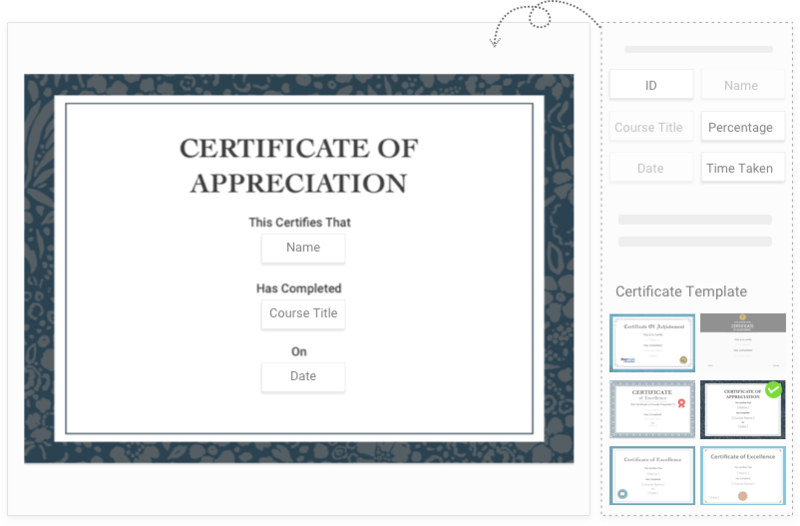 Learners can easily share the course completion certificates as proof of their actual participation in specific training sessions. They can either print a hard copy of the certificate or email the same as well as share it through social media platforms like Facebook.